For this project I photographed my favorite of all of my husband’s beautiful albums (and I’ve got a few myself! ), the musical soundtrack to the horror film Chopping Mall. 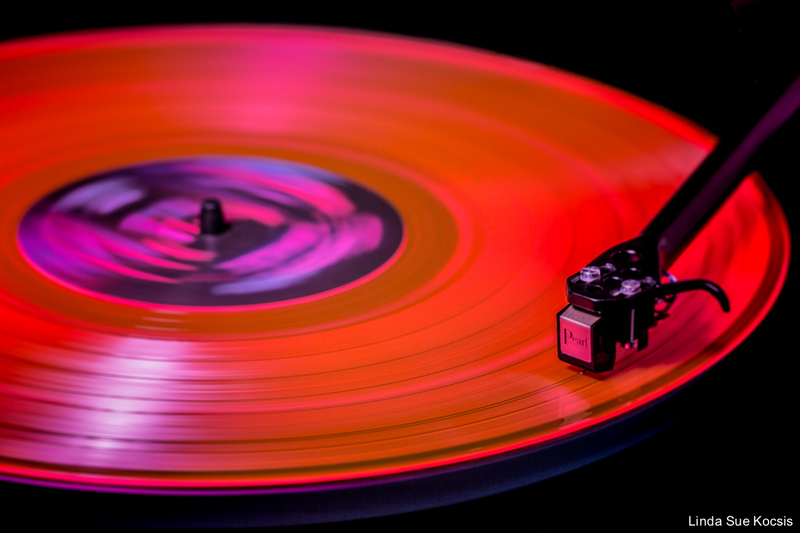 It’s a 180 gram neon pink and orange marvel! That’s beautiful, Linda. I recall seeing those red vynnil records years ago in Asia. I thought they were very cool. Great photo and a fun film as well. You can’t beat cameos from Paul Bartel and Mary Woronov!